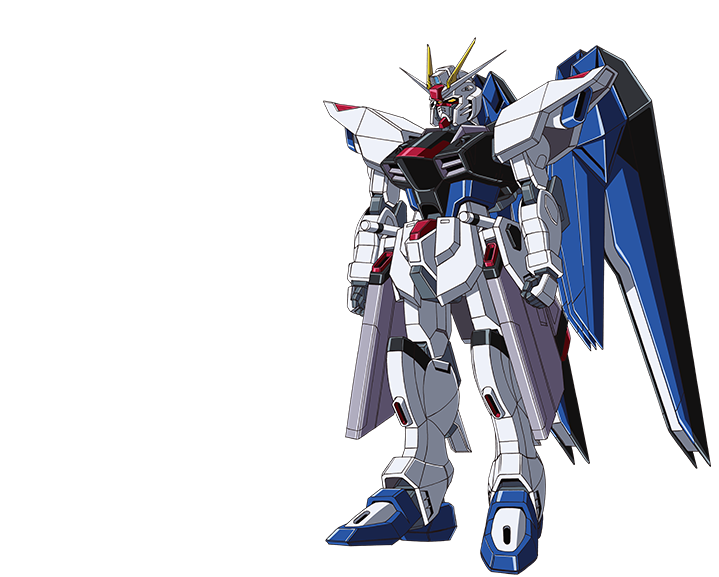 Freedom Gundam was heavily damaged during the battle of Jachin Due, but was secretly repaired at the Orb’s factory. Freedom is the only MS with a nuclear engine (N-Jammer Canceller). With its infinite power supply, Phase Shift armor, and its overwhelming firepower, its strength is unrivaled.